Rosa Ashby runs Rosa Flowers in the English market town of Witney. Every flower in her shop, including lilies, chrysanthemums and lisianthus, is either grown in or distributed through the Netherlands. Valentine's Day is usually a boon for florists. But in the United Kingdom, a cloud hangs over the industry. Rosa Ashby, who runs Rosa Flowers in the English market town of Witney, is anxious. Every flower in her shop, including lilies, chrysanthemums and lisianthus, is either grown in or distributed through the Netherlands. That has worked just fine since Ashby started her business 22 years ago, because the U.K. has been inside the European Union's single market, and flowers — and countless other products — have flowed seamlessly across the border. On March 29, though, that could change as the U.K. is scheduled to leave the EU and there is still no deal to keep trade moving smoothly. "We're very worried," says Ashby, sitting at a table in her shop in Oxfordshire, which she leaves mostly unheated during the winter to preserve her flowers. "We don't know what's going to happen on the 29th. The government doesn't know. Nobody knows. And our worry is: When will we get the flowers? What price will they be if tariffs go on?" NPR sent Ashby's quotes to the U.K.'s Department for Environment, Food and Rural Affairs seeking a response. A government spokesman said the majority of flowers from the EU will continue to enter the U.K. without health checks but mentioned nothing about tariffs. If the U.K. leaves the EU without terms for a transition period to a new trade agreement with the bloc — a no-deal Brexit — then trade is expected to continue under rules outlined by the World Trade Organization. The British Florist Association estimates that flowers coming from the EU could face tariffs ranging from 4 to 12 percent. The growing risk of leaving the EU without a deal has raised fears of shortages in the U.K. Some businesses have packed warehouses across the country with everything from auto parts to ice cream in case trade slows dramatically. But Ashby and her industry don't have that luxury and she says she doesn't have a contingency plan. "We can't stockpile our goods because they're fresh flowers," she says. Each week, Barry Snapper brings his flowers through the Channel Tunnel in a refrigerated tractor-trailer and parks down the walk from Ashby's shop. Ashby's plight is typical of many florists here and highlights how flower-growing has changed in Britain over the decades. Brian Wills-Pope, chairman of the British Florist Association, says when he started in the business in the 1970s, half the flowers sold in the U.K. came from Holland. Today, he says, the figure is 80 percent. That dependency, which developed over the decades as U.K. nurseries closed down and more production shifted to the Netherlands, now poses a potential threat to florists here. "We are looking at something which is unprecedented in the 40 years that we've been part of that single market," said Wills-Pope, referring to the U.K.'s economic integration with Europe. British flower sellers aren't the only ones worried about a "no deal" Brexit; so are their suppliers in the Netherlands. Barry Snapper has been selling flowers to Ashby for at least six years. Each week, he brings his flowers through the Channel Tunnel in a refrigerated tractor-trailer and parks down the walk from Ashby's shop. Snapper and Ashby haggle in the back of the truck surrounded by flowers as he presses her to buy more and more. "Snapdragons?" he offered during a visit last week. "No, no," said Ashby, fending off his repeated attempts. Snapper is concerned that a no-deal Brexit will trigger import duties and delays at the Channel Tunnel that will force suppliers like him to raise prices. He worries that shops here in the U.K. will have a hard time passing those costs on to customers. "A lot of people will struggle to sell flowers to the public," said Snapper. "People will still buy food and everything, but what they can skip are the flowers." Snapper is as dependent on sales to the U.K. market as Ashby is on supply from the Netherlands. He says after selling to the U.K. for two decades, it's too difficult to shift to another country now. Some of Snapper's clients say Valentine's Day orders have been down, which they attribute to uncertainty and anxiety around Brexit. Snapper, who is garrulous and a natural salesman, has tried to calm their fears, suggesting it's just men typically waiting until the last minute to buy flowers for their sweethearts or wives. To the degree that they can, British flower shops are planning ahead. They are ordering early for Mother's Day, which in the U.K. falls on March 31 — just two days after the U.K. is scheduled to leave the EU. Valentine's Day is huge for florists around the world. But in the United Kingdom, the risk of crashing out of the European Union next month has cast a shadow over the industry. 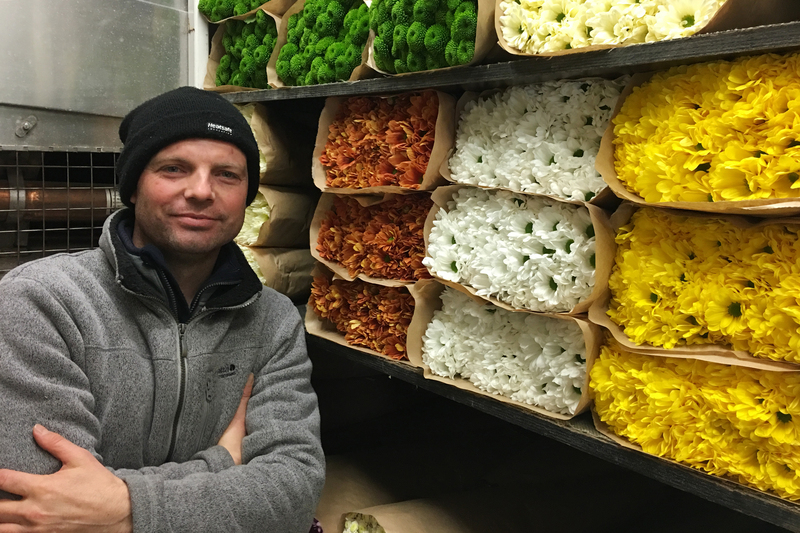 Many shops fear their lifeline to flower supplies in Europe could be severely disrupted. NPR's Frank Langfitt reports from the English town of Witney. 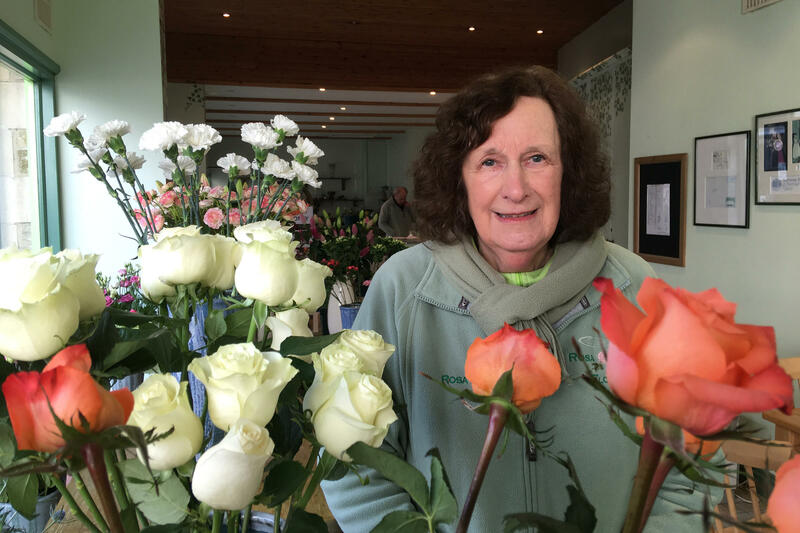 FRANK LANGFITT, BYLINE: Rosa Ashby's wrapping up a bouquet of roses and lilies at her shop, Rosa Flowers, in Oxfordshire. They're part of a wide selection of flowers she offers, most of which come from the same place. ROSA ASHBY: These all come from Holland. The lilies come from Holland, and the spray chrysanths (ph) come from Holland. LANGFITT: Up until now, the flowers have flowed seamlessly across the border because the U.K. is part of the massive EU single market. But the United Kingdom is scheduled to leave the EU late next month, and there is still no deal on how to keep trade flowing. ASHBY: We're very worried. We don't know what's going to happen on the 29. Government don't know. Nobody knows. And our worry is, when will we get the flowers? What price will they be if tariffs go on? LANGFITT: The government insists the majority of EU plants and flowers will continue to enter the U.K. without health checks. But businesses of all sorts are worried about a no-deal Brexit. Some have been filling up warehouses across the country with everything from auto parts to ice cream in case trade slows dramatically. Ashby's industry doesn't have that luxury. ASHBY: We can't have a contingency plan. We can't stockpile our goods because they're fresh flowers. We're only a small business. Coming up to our 22nd Valentine's, it's so sad. BRIAN WILLS-POPE: I'm Brian Wills-Pope, and I chair the British Florist Association here in the United Kingdom. LANGFITT: Wills-Pope, who spoke over Skype, says Ashby's plight is typical. WILLS-POPE: Eighty percent of our flowers actually come from Holland, so they come via the Eurotunnel or ferry. LANGFITT: And Wills-Pope says that dependency, developed over decades while the U.K. has been inside the EU, now poses a threat to flower sellers here. WILLS-POPE: We are looking at something which is unprecedented in the 40 years that we've been part of that single market because as time's evolved, the English growers have sewed up and their nurseries have been built on. And more and more, production's been gone to Holland. SNAPPER: No? No phlox? I can do small amounts. LANGFITT: Back in Witney, one of Rosa Ashby's suppliers has arrived from Holland. His name's Barry Snapper, and he's just come through the Channel Tunnel with his refrigerated semi packed with flowers. Ashby and Snapper haggle as they have every Wednesday for at least the past six years. I ask Snapper what he fears most from a no-deal Brexit. SNAPPER: All the extra duties probably - the import duties, charges, waiting at the Eurotunnel to come across. LANGFITT: Snapper says that would force people like him to raise prices, which he thinks shops here will have a hard time passing on. SNAPPER: A lot of people will struggle to sell flowers to the public. People - well, they're still going to buy food and everything, but they can skip the flowers. LANGFITT: How important is the U.K. to your business? SNAPPER: I only supply to the U.K. at the moment. People say to me, do you want to export to another country? But I've been coming over for over 20 years to Britain. And yeah, it's too difficult, I think, to go to another country now. LANGFITT: Some of Snapper's clients say Valentine's Day orders are down, which they attribute to Brexit uncertainty. Snapper has been trying to calm their fears. SNAPPER: I always say the same. It's 14 of February. It's men, and they come in last minute. And it's the same story every year. It's always on the day itself or the day after even (laughter). LANGFITT: British flower shops are planning ahead. They're ordering early for Mother's Day, which in the U.K. falls on March 31, two days after the United Kingdom is scheduled to leave the EU. Frank Langfitt, NPR News, Witney, England.